If you want more detail, you can read our full Sonicare ProtectiveClean 6100 review further down the page or watch my video review. Sonicare know how to make a good electric toothbrush and drastically wrong are not words you would associate with any of the brushes the firm make. The 6100 offers quite a bit. Far more than what most of us need, but it certainly appeals to those who desire premium products. Different colour options give more choice than most, but the price could be a bit of a hurdle for many. It really depends on what you need and want from a brush. Sonicare’s ProtectiveClean 4300 ticks all the basic boxes for the majority of users and is cheaper too and is our choice. If you want more cleaning modes and cutting edge features, then the DiamondClean Smart is an option, albeit at a price! 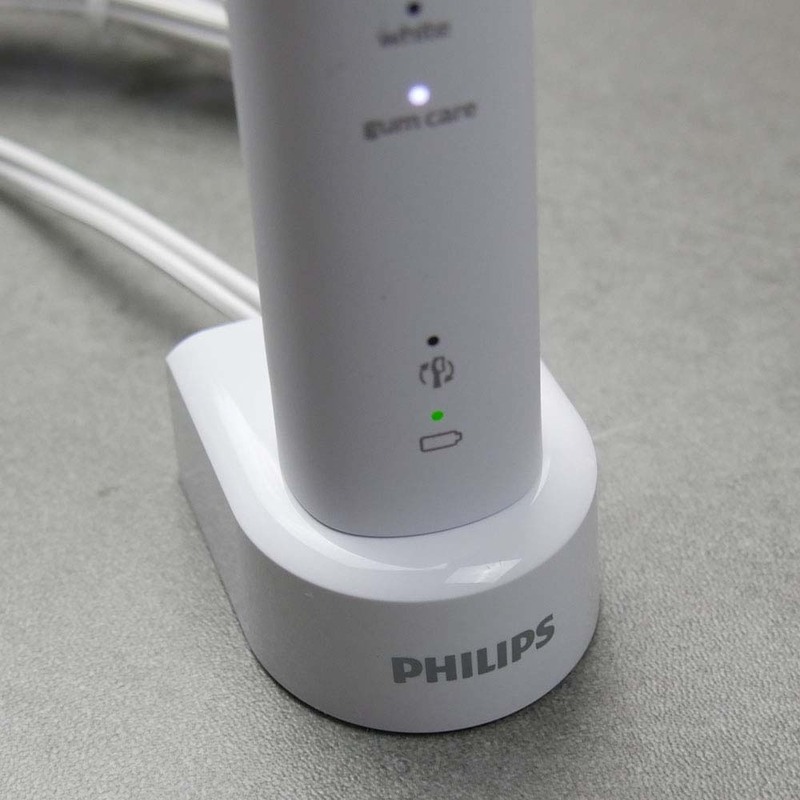 With both alternatives you lose out on the BrushSync technology, but the DiamondClean offers in-case charging as well as Bluetooth connectivity. 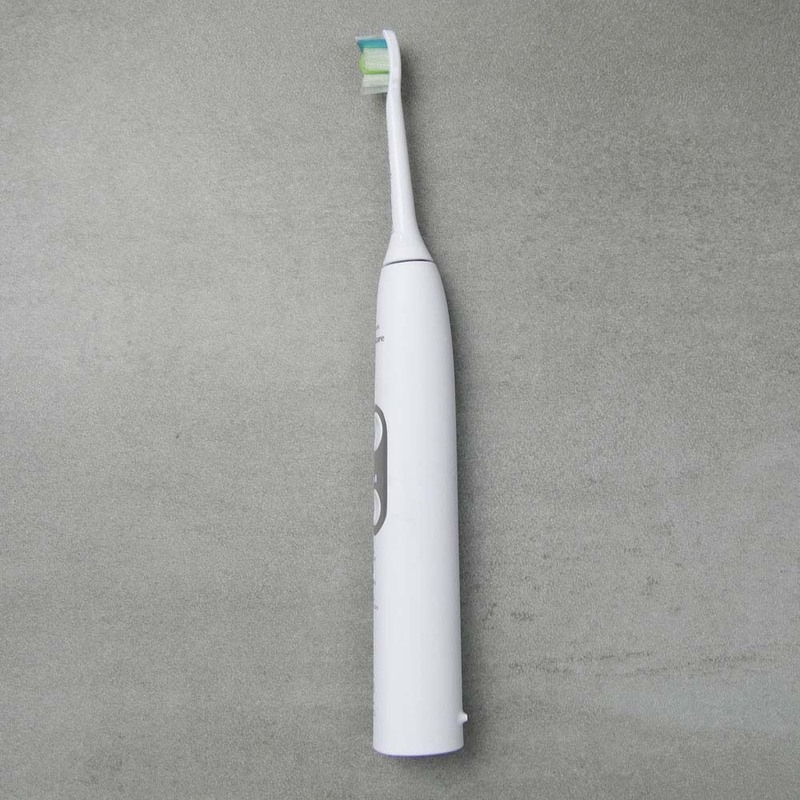 For a more detailed comparison of buying options, check out our electric toothbrush top 10. 3. Where is the best place to buy the Sonicare ProtectiveClean 6100? 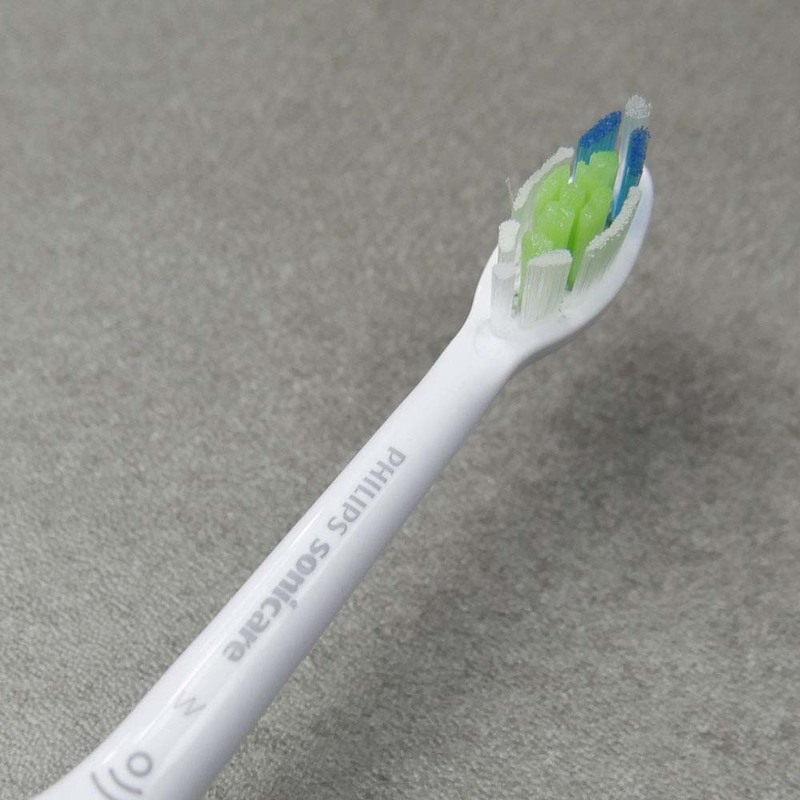 There isn’t a ‘best’ place to buy this toothbrush from. Amazon is a particularly popular outlet to buy from because they tend to be the most price competitive and offer quick delivery options nationwide. 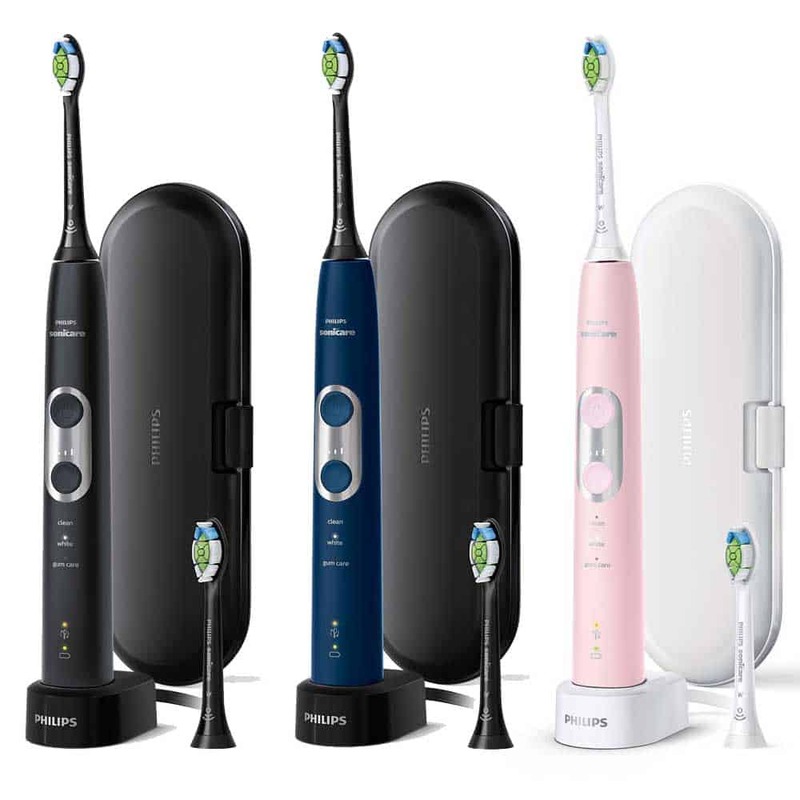 The most feature rich of the Sonicare ProtectiveClean family it can certainly be classed as a upper mid-range electric toothbrush. It has stiff competition from other Sonicare models and Oral-B too. Whether this brush is for you will likely depend ultimately on what you desire most. Read on to explore the 6100 in real detail. One of the appeals to this electric toothbrush is the choice you have when it comes to the colour of brush handles. It might be a small thing, but not everyone wants the default White colour option. The 6100 has 5 different colour options. Some do come with different coloured brush heads, travel cases and charging stands to fit in. From a technical standpoint there is no difference, nor is the box contents any different. The different colour options mean a different Sonicare part code too. Depending on which colour is your preference, may well depend on the availability. In this hands on review I have been testing the Silver White colour option. Design – Available in several different colour options, the brushes look the part in addition to be comfortable and nice to use. Price – Not cheap and not the best value. Better buys exist. As the most premium model within the ProetectiveClean range your expectations are instantly heightened. However, the 4300 and 5100 have set very solid foundations and there is not significant difference between them and this 6100. The primary difference is the addition of brushing intensities that changes the amount of power used during each cleaning session, you can choose from low, medium and high. Much more detail on this coming right up, I assure you; but first the design and hands on experience. Once you take the brush out the box you will see that is has a fairly typical electric toothbrush look and design to it. It is a little busier on the front than some others, because of the features it offers. The White and Pink come with White coloured brush heads, charging stand and travel case, whilst the others are Black. I like the different colour heads and accessories as I think this adds an extra touch of class and works better in from colour and styling point of view. Colour aside, technically they are all the same. Solid, well built, with a premium feel too it, the handle is slim enough that it is not chunky, but large enough you can get a good grip to hold onto it. Take a look at the brush handle side on, with the brush head fitted, you will see that the head sits at a slight angle. The reason for this is that in hand, it means the brush head is angled in a way that helps reach the rear teeth with more ease. Small design touches like this are something Sonicare do very well. Surrounding these buttons is a Silver plastic panel that gives a colour accent to the brush handle. Both the power and cleaning mode button are colour matched to the handle. Extending from within the handle, out the top is a metal shaft that delivers the sonic cleaning motion to the bristles on the interchangeable brush heads. Supplied in the box are 2 x W2 Optimal White brush heads, just 1 style form a range available for Sonicare models. What is this BrushSync I speak of? We explain it in detail in this post, but below is a summary and how it works in relation to the 6100. The ProtectiveClean 6100 has both of these parts. The 4300 and 5100 have only the replacement reminder. This means that if you fit the W2 Optimal White head to the handle, it will automatically select the White cleaning mode. Although not supplied in the box, if you were to buy and fit the C2 Optimal Plaque Defence brush head to the handle, it would pair with the ‘Clean’ mode whilst the G2 Optimal Gum Care brush head will pair with the Gum Care mode. The idea of this pairing is to achieve the best cleaning results possible. This comes at extra expense. It is not essential to use these other heads, but you probably want the best results right?! Personally I think it is clever, but I have never really thought, wow this is a lot of effort changing the cleaning mode…but I can see the convenience it brings and for those serious about their oral health. How it works is that both the brush handle and brush head have to be BrushSync compatible, hence the list of BrushSync compatible heads above. Inside each compatible brush head, is a small RFID microchip. The other part to this system is the brush head replacement reminder. The handle knows that the brush head should be replaced every 3 months. So, once the handle detects that the brush head has been used for this amount of time, the ‘BrushSync’ LED on the brush handle will light up an Amber/Orange colour. It is at this point you should fit a new head. But, things get more intelligent. Both elements of the BrushSync technology are designed to make your life easier and more convenient and it shows how technology can be used to aid our day to day interactions. I want to make it clear that as clever as this technology is, if you want to have BrushSync work, you need to use a compatible brush head. It is perfectly possible to use a standard brush head on the 6100 as it is perfectly fine to use a BruchSync compatible head on a handle that does not offer BrushSync technology. But, do be aware, the BrushSync will only work when a compatible head is used on a compatible handle. You can learn more about each specific head and what makes them different (the bristle length, cut etc) , by reading our ultimate guide to Sonicare brush heads. The 6100 offers 3 cleaning modes, Clean, White and Gum Care. We explain all of the Sonicare cleaning modes in this post. 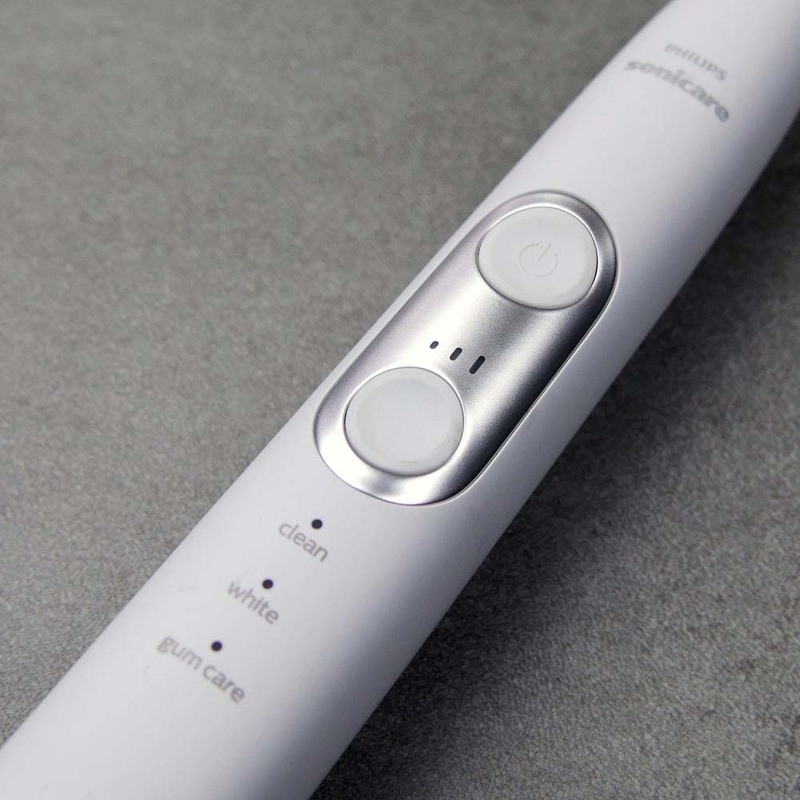 To chose the mode you want, you need to press the cleaning mode button on the brush handle until the LED above the desired cleaning mode is lit. You can continue to cycle through the modes by pressing that button. Once selected, power the brush on and begin cleaning. When the brush is running, that cleaning mode button now controls the intensity, or power of the clean delivered. You can press it multiple times to cycle through, low, medium and high. Depending on the mode selected and the intensity, will depend on how many of the maximum 31,000 movements per minute are used. There is a clear difference between each intensity. You can hear it in the sound emitted from the motor and feel it in the cleaning sensation. For new electric toothbrush users, the ProtectiveClean 6100 has a couple of extra clever features. The full 31,000 movements per minute can seem quite intense on first use. EasyStart eases you in and makes the transition from manual to electric brushing easier. Brushing too hard can damage the teeth and gums, not to mention wear out the brush heads sooner. Bristles need only skim the tooth surface to remove plaque and debris. I particularly like the visible pressure sensor available on the DiamondClean Smart and Oral-B’s model range. I think the light is more obvious, particularly when most of us tend to brush in front of a mirror. The BrushSync replacement reminder LED flashes Amber when the sensor is activated, but given its position, it is not the easiest to see. Made from a fairly robust plastic, the case is hinged on the left side with a clip on the right to securely fasten it shut. 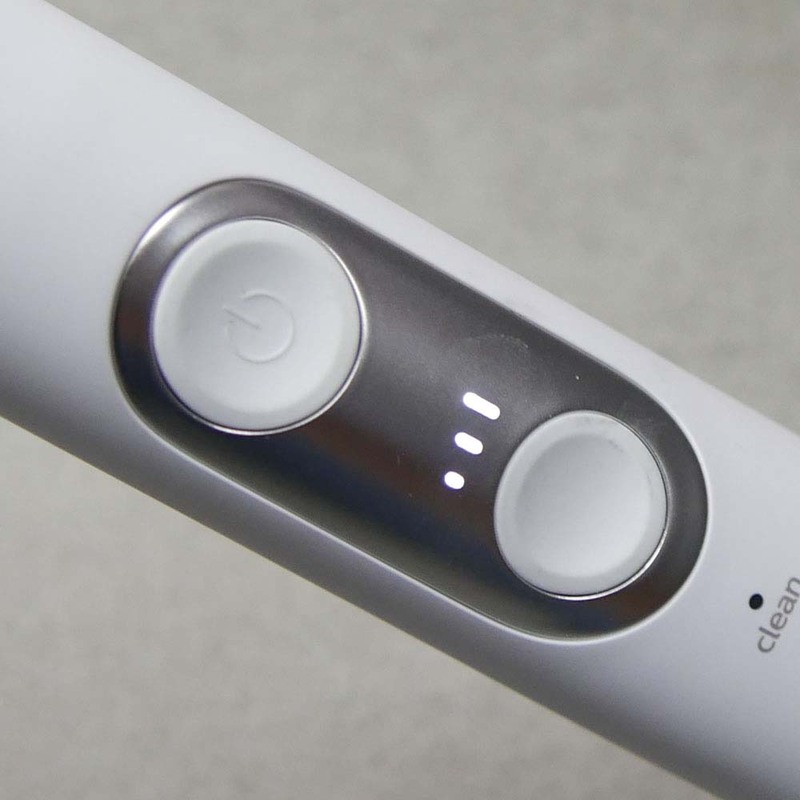 Like the 4300 and 5100 ProtectiveClean, there is a lot to like with this electric toothbrush, but there are a couple of problems that stop me from singing its praises. Price is 1 reason, but more on that later whilst the other is box contents and value. Models like the Smart 6 6000 from Oral-B do not feel quite as premium or refined as the 6100 for sure. But, in the box you get a brush head storage compartment to store spares. You get additional cleaning modes and Bluetooth technology. Now, the BrushSync tech is an example of technology simplified effectively and I have to award points to Sonicare for this. However, what the Bluetooth connectivity offers might not be for everyone, but for those who embrace it the wins could be bigger. It basically tracks and logs their cleaning and encourages and teaches better brushing skills. That alone will make a bigger difference to a person’s oral health than any brush head, cleaning mode or the power of the motor. Technique and regularity is much more effective in achieving positive results. 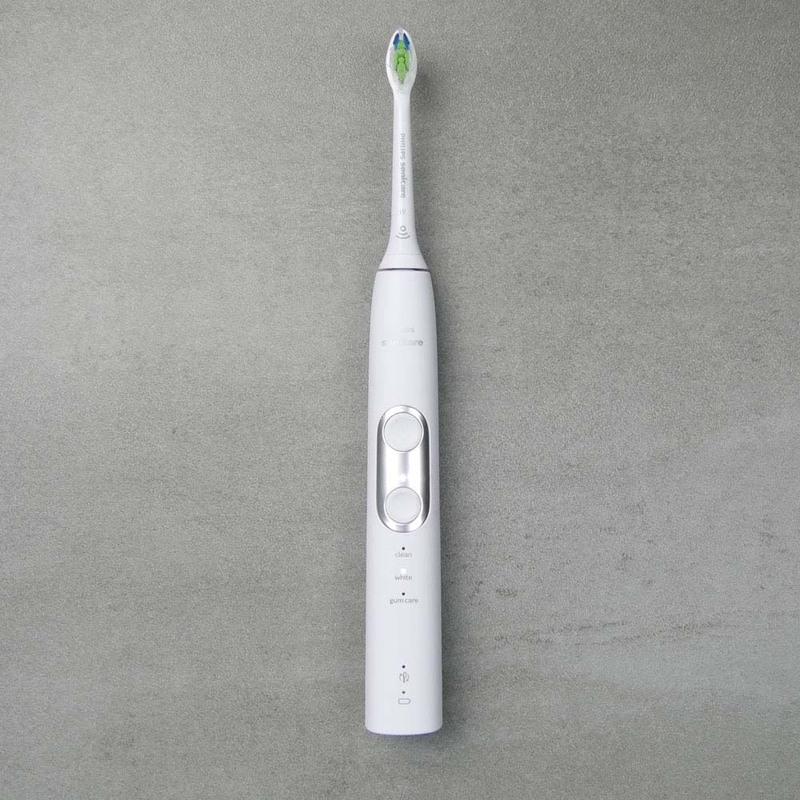 The 6100 is a very capable electric toothbrush, make no qualms about it and I like it. I just wouldn’t buy it for myself. 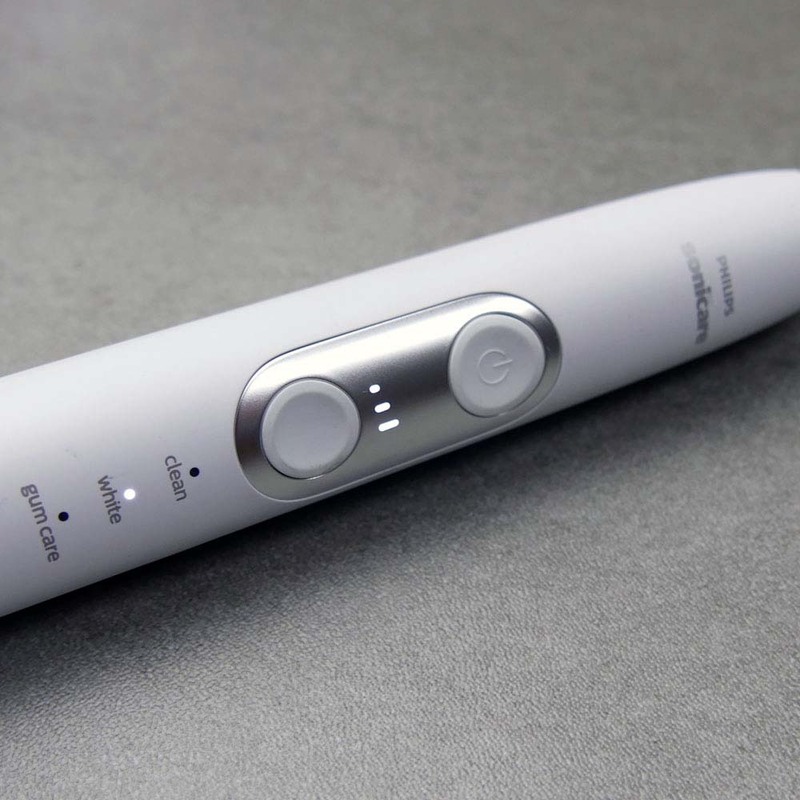 This cordless electric toothbrush is powered by a Lithium-Ion battery that is sealed inside the handle. It is not user removable as the brush is sealed to achieve a certain level of water resistance, but can be recharged by sitting it on the charging stand that comes supplied in the box. The charging stand is either White or Black in colour depending on the colour of the brush handle. It has a power cable attached to it, this connects to the 2 pin power socket found in UK bathrooms. The ProtectiveClean 6100 brush handle then sits on top of the main charging stand unit. The prong on the top, fits into the base of the brush handle. 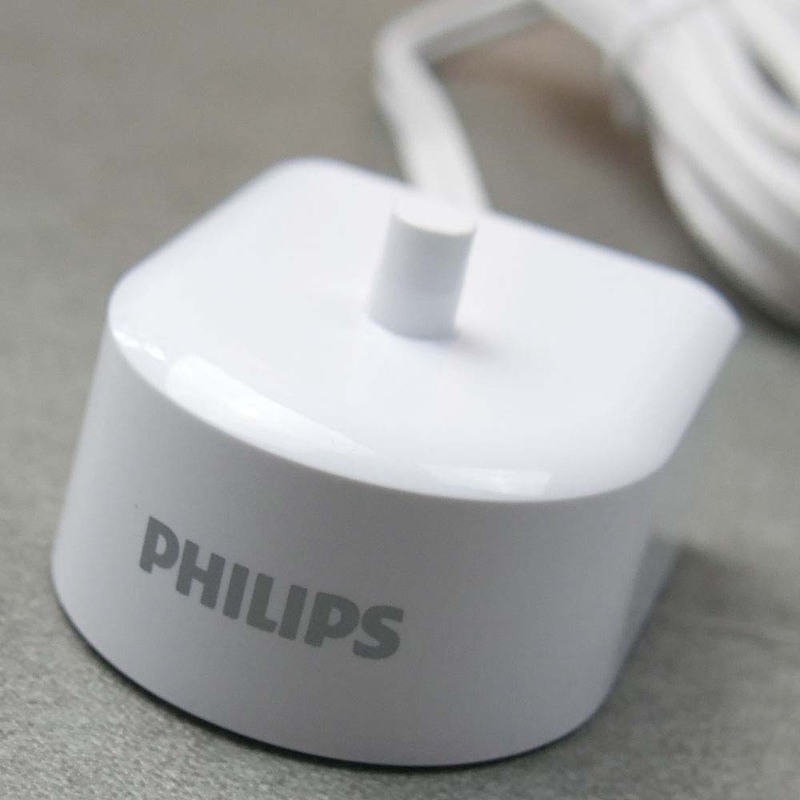 It charges via inductive charging and does not require the physical connection of metal contacts to transfer the charge, making it safe for use in damp environments like a bathroom. If you do not have a 2 pin socket in your bathroom, you can purchase 2 pin to 3 pin plug adapters that can allow you to connect the charging stand to the 3 pin sockets you have around your home. Wiring within the charger supports 100-240v which is very handy. This means that on the occasions you might need to take your charging stand with you, you will be able to use it, even internationally. You might just need a plug adapter depending on which country you are in. When placed on the charger, the stand will emit 2 beeps to confirm the handle is placed properly. 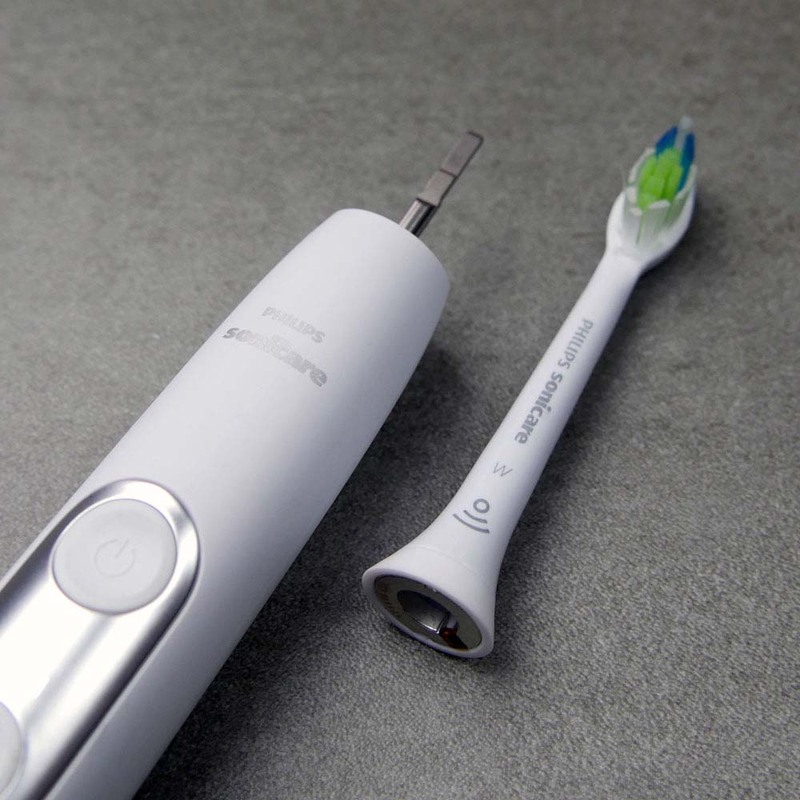 The flashing light of the battery level indicator shows that the toothbrush is charging. When the handle is fully charged, the battery light goes a solid Green for 30 seconds and switches off. 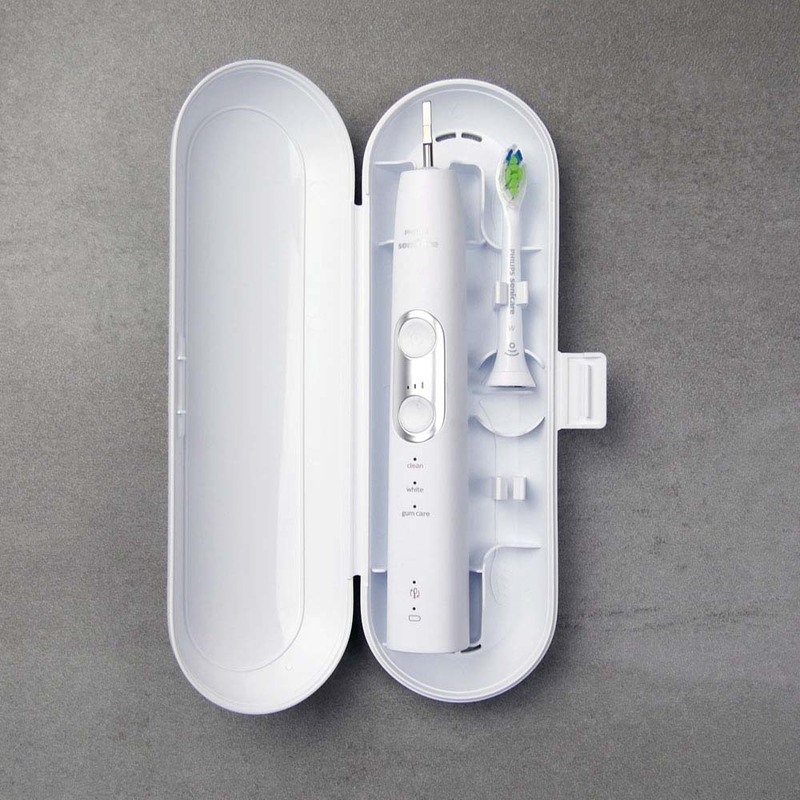 Sonicare suggest that you will get 2 weeks usage from the battery, so you need not be charging all that often; although it is fine to leave the brush on the charging stand if you want. Sonicare claim a 2 week battery life, but this is clearly as an absolute minimum. I achieved a staggering 5 weeks on a full charge when using the ‘Clean’ mode on a high cleaning intensity. That is equivalent to 75 cleaning sessions, each 2 minutes in length. Even on the most power hungry, longest running Gum Care mode, the battery lasted 20 days, 6 more than Sonicare claim. It is therefore safe to say this brush exceed expectations. The LED on the front of the brush handle does give some feedback into the remaining charge in the battery. What these status light mean are as follows. The possible alternative to the ProtectiveClean 6100 offers a very similar amount of battery life. I am sure you are like me and when it comes to buying something, on the whole you like getting a bit of a deal. If we can all save a few pounds here and there is helps right?! Well here in the UK the pricing structure of electric toothbrushes is a bit of a weird one, in that almost all of the time you get given the impression you are getting a deal. Sounds strange. Let me explain. The UK electric toothbrush market tends to operate on a policy of very high recommended retail prices, but in reality sell at significantly lower prices anywhere between 20-60% less. These significant discounts make the products look more appealing to you and I as consumers, hence we believe we are getting a deal. At the time of writing, the ProtectiveClean 6100 has a recommended retail price of £299.99. But let’s take a look at some other models and what happens. 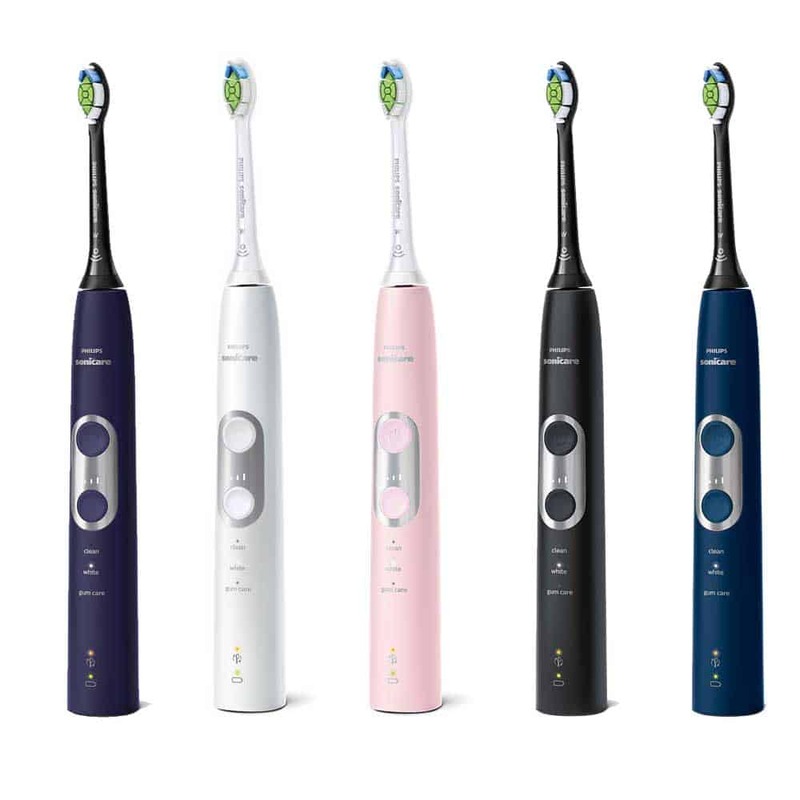 The Smart 5 5000 from Oral-B has a recommended retail price of £170 but has an average selling price of £81, over 50% less. The same can be said for the Smart 6 6000. With a retail price of £220, the average online sale price on Amazon is a little over £85, 61% less. 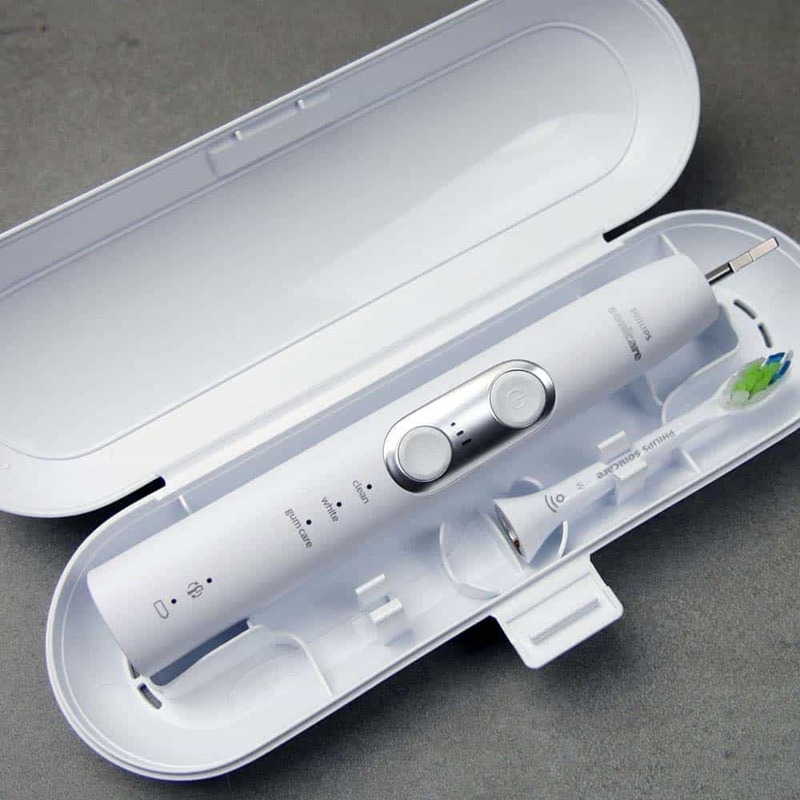 At the lower end of the range, the Sonicare 3 Series has a suggested retail price of £120, but is selling for £50, so essentially 60% off. These price drops tend to happen within a few days and weeks of launch. Given electric toothbrushes are generally on the market for 3-5 years before being replaced I don’t quite understand why they do it so soon or at all even. But, irrespective of the reason behind this, it makes sense only to compare the 6100 on the price that it will typically sell at, rather than the price is was upon launch. Assuming a 50-60% drop in price, the expected selling price will be £120-150. 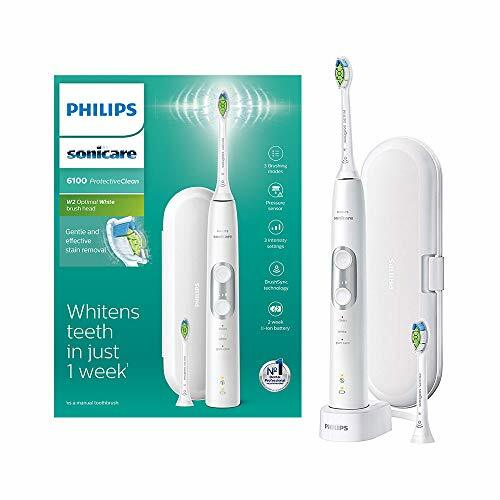 Now what you feel this brush is actually worth may differ and I will say that personally I do not think this is the best value for money you can get of an electric toothbrush today. The average selling price of the ProtectiveClean 4300 is £70 and whilst this misses out on a BrushSync feature and 2 cleaning modes, its a fantastic value option. Oral-B’s Smart 5 or Smart 6 offer more for your money and with both of those would will get at least £15 change from £100, whereas the 6100 require a fair extra spend. Yes I will admit BrushSync is unique to Sonicare and has some value, as there is for the overall quality of the brush, but I don’t believe it is worth the minimum of £35 saving you would get for going with Oral-B. You may well feel differently. If Sonicare could bring this in at £100 now we would be talking and well on our way to a 5 star rating. 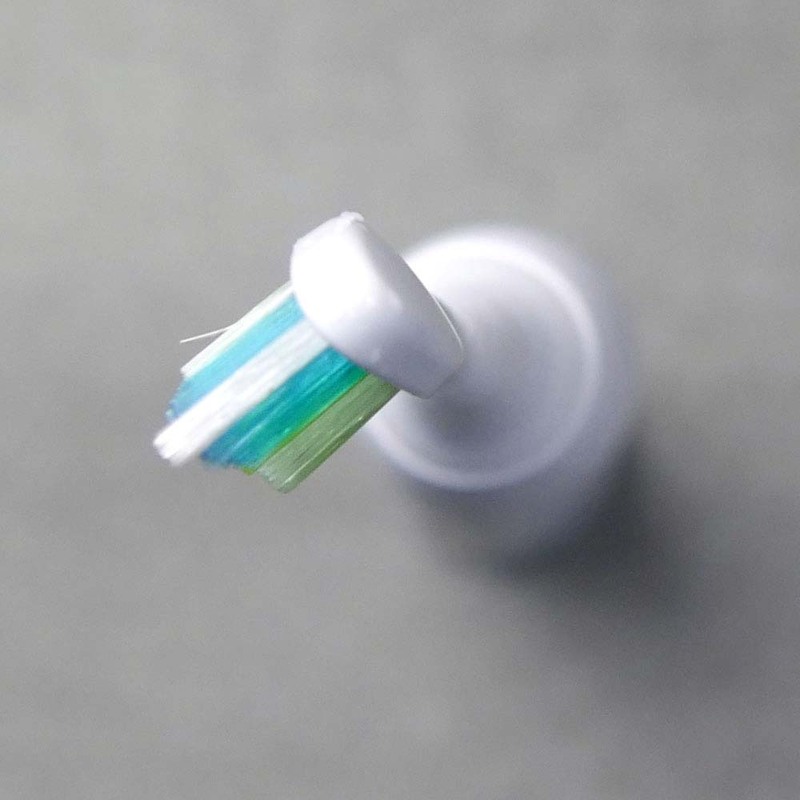 An ongoing cost for any electric toothbrush user is the cost of brush heads. Sonicare command a premium here too. Typically £7 for the BrushSync compatible heads compared to the £3-5 of an Oral-B head. Both heads clean well but this is another influencer on the long term ownership cost. As a general rule a brush handle will last 3-5 years, some much longer. 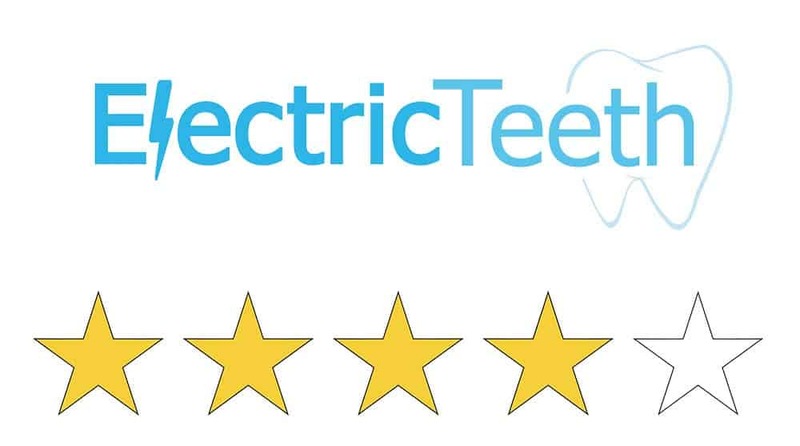 To give comparison I and the team here at Electric Teeth like to price the brush over a 3 year period. At full retail price the ProtectiveClean would cost a cool £370 or 34p per day. With a 60% discount on the handle cost, that reduces to £190 or just 17p per day. Quite a saving. These prices do exclude the cost of water, toothpaste and electric to charge it, as well as a few assumptions and rough calculations, but you get a rough idea. As much as I like the ProtectiveClean 6100, I simply can’t justify what it offers is worth that significant extra spend. If you feel you can, then great. No manufacturer that I know of can claim 100% fault free products. The big difference is how reliable they are and how those issues are dealt with. 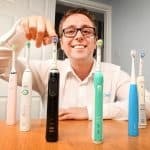 As one of the leading brands within this space my experience has on the whole been positive with Sonicare. Complaints have certainly been received about reliability, but these appear to be less frequent than other major brands. Well made, the brush handle feels solid in hand and the water resistance the handle has helps protect the vulnerable electronics found inside. My hands on testing is from the perspective of a person like you, using it at home and as part of my daily life. I have not been putting it through and special test that stress test it. Compared to other models the 6100 shows no cause for concern. If in the unlikely event something should go wrong for you, you can use the 2 year warranty that comes with the 6100. At Sonicare’s discretion they will repair or replace it. Technically, the 6100 from Sonicare is very very good. It has the core requirements I would expect of an electric toothbrush plus many more. The problem is though, just how many people need or want these extra features and are they prepared to pay for them? You can get better value from the lesser featured Sonicare 4300. Far from a bad brush, the 6100 will serve you well. It just feels a bit stuck in the middle though. The 4300 is a better buy and the DimamondClean Smart is a better option if you want all the bells and whistles. The brush head supplied with the 6100 is the W2 Optimal White. 2 come in the box. A broader range of brush head styles are available from Sonicare. Yes, it does. The handle vibrates to alert you. Sonicare claim 2 weeks, but the minimum I achieved was 20 days, with a maximum of 37 days (5 weeks). Yes. A travel case is included in the box. It is too colour matched to the handle. Brushing to hard would defiantly been useful as i do brush far to hard and wear out my enamel. My t brush does not have this mode unfortunately.